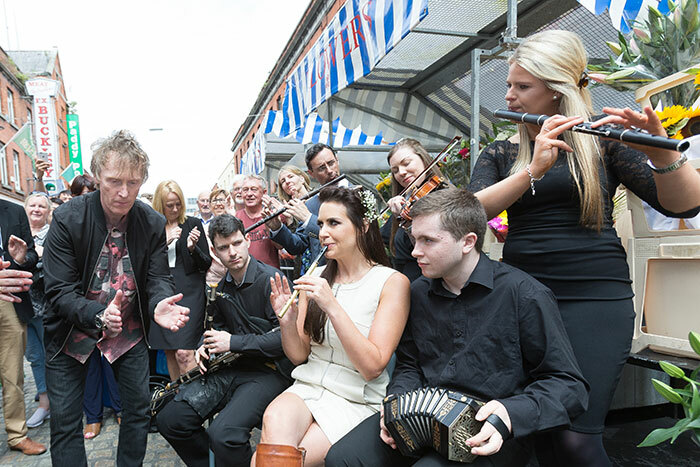 IFTA Award winning, FleadhTV is back for 2017 with lots of new additions. This is live music TV but not as you know it! Think Glastonbury with the best of Irish traditional musicians from the beating heart of Fleadh Cheoil Inis 2017, all with a very modern edge. 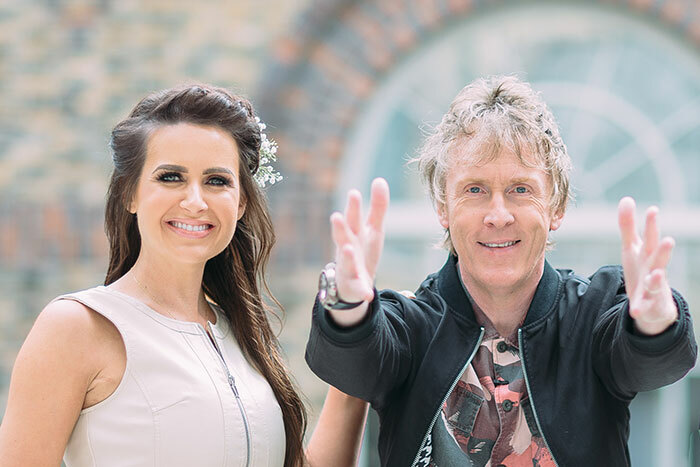 Hector Ó hEochagáin has been announced as a new presenter on FleadhTV joining Mairéad Ni Chuaig. Hector will be creating a frenzy on the streets of Ennis bringing all kinds of madness and mayhem; we will also be live from the new market building showcasing artisan crafts, foods and fun alongside a very special acoustic stage, with Mairéad at the main stage in the heart of the town. Síle Denvir has just been added to the presenter line-up and now it’s full steam ahead! The production company behind the show, Gifted Empire, has recognised multiscreen viewing habits and has further developed online programming to be a second screen for the programmes. 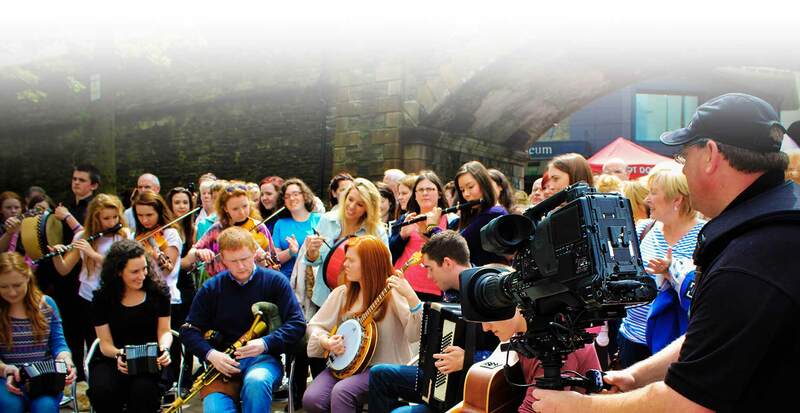 FleadhTV first aired from the Derry Fleadh Cheoil in 2013, in 2015 the team won their first IFTA TV Award for ‘Best Live Event’ and the show has grown into an annual ratings winner for TG4 and become a flagship programme for the station. Hector's home for 16 years has been TG4, where he has recently returned from the jungles of Central America with his latest TV hit "Hector Central" which aired before Christmas on the channel. He is in full development of a number of projects & a brand new travel adventure on TG4 for 2018. Hector has been entertaining the country on radio over the last few years, first with his hugely popular weekend show with Tommy Tiernan, then he continued to “keep her lit” on acclaimed breakfast show on 2fm & now has resumed radio duties with his brand new “Sunday Sittingroom” on Today FM. Hector has won multiple IFTA awards with his shows have spanned 15 years on our screens. He is unique in creating & writing the majority of his television ideas, from the Horse Racing hit “Only Fools Buy Horses” to “Hanging with Hector” and on to the series where he immersed himself in sub cultures all over the country “Hector Goes”, which aired on Primetime RTE 1 in 2013 & 2014. Mairéad Ni Chuaig is one of the friendly faces of “An Aimsir Láithreach” on TG4, where she works alongside a creative and fabulous team. As an experienced television presenter, she has been involved in media for a number of years. She has presented Paisean Faisean & Ceol Tíre. Mairéad is an adventurer who has travelled the world filming Wwoofáil, an IFTA nominated travel series for TG4. She has just returned from Thailand. Mairéad is a Sean Nós dancer and has been attending & loving the Fleadh Cheol since the age of 6. Tá Mairéad Ní Chuaig ar dhuine d'fhoireann “An Aimsir Láithreach” ar TG4, áit a mbíonn sí ag obair in éineacht le foireann chruthaitheach agus chumasach. Tá taithí iontach mar láithreoir teilifíse aici agus í ag obair sna meáin chumarsáide le roinnt blianta ar chlaracha cosuil le Paisean Faisean & Ceol Tire. Bean mhór eachtraíochta í Mairéad a bhfuil an domhan siúlta aici chun WWOOFáil, sraith taistil a ainmníodh le haghaidh gradam IFTA, a thaifeadadh do TG4. Tá sí díreach théis filleadh ón Tealainn. Is damsoir ar an sean nos i Mairead & ta si direach craicailte i ndiadh an Fleadh. Harpist and singer Dr. Síle Denvir hails from Connemara and was surrounded by music and song from an early age. Her first language is Irish and this lead naturally to an interest in traditional sean-nós singing. Immersed in this tradition of sean-nós singing, she learned songs from many local singers and she learned the harp from the acclaimed harpist Kathleen Loughnane. Síle is a founding member of the group Líadan, whose latest CD In Am Trátha was released in 2015. She has toured extensively with the group and also with The Chieftains. Síle is a regular contributor to various TV and radio programmes and she is the presenter of the programme ‘Sean-Nós’ on TG4, the second series of which was recently aired on TG4. Síle is also an academic and is currently working as an Irish language lecturer in Dublin City University. She has a particular interest in Irish-language song in a modern context and in 2008 Cló Iar-Chonnacht published her book Ciarán Ó Fátharta - Amhráin, an edition of songs composed by the Connemara songwriter Ciarán Ó Fátharta. 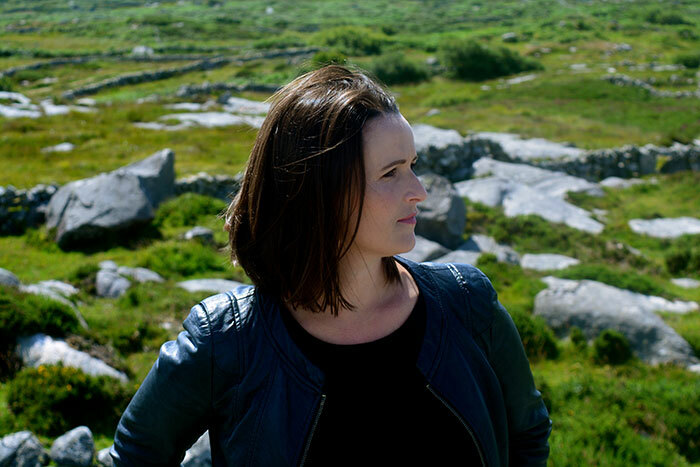 Her latest research project focuses on the music and song from the plays of Patrick Pearse and a CD/Booklet called Caithréim: Ceol agus Amhráin ó Dhrámaí an Phiarsaigh based on this work was published by Cló Iar-Chonnacht in May 2016. The CD was shortlisted by The Irish Times in the highly competitive ‘Best Traditional Album 2016’ category and it also won ‘Best Traditional Song Album’ at the Gradaim Nós Awards in 2017.